November in Eastern Virginia is the perfect time to have a fire pit designed and built so that you can enjoy it throughout the fall, winter and chilly early spring evenings. Several critical decisions are necessary as you begin the process. As always, being realistic about your budget is the key to not having months of regret. Next, consider size based on who you anticipate gathering around your pit most often. Fire pits can be quite diminutive for intimate gatherings or quite large and imposing presences. Covers can turn them into coffee tables when not in use. 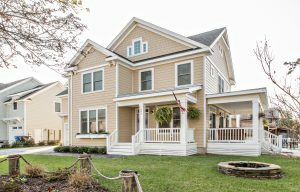 Location is especially critical for anything built-in, including a fire pit. Safety is the primary consideration, e.g. your fire pit should not be too close to structures or in an enclosed area (your contractor or builder will advise). But next is a placement that takes full advantage of appealing views and, simultaneously, camouflages any unfortunate sight lines. You should also decide if you want your pit to be near the center of outdoor activity, even a focal point, or tucked by itself. But not too far. If people feel like they have to travel to get to it, it won’t be used often. Closely related to location is shape. 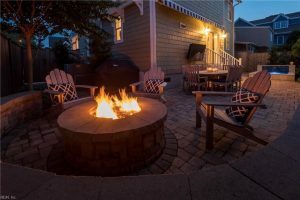 Custom fire pits can be virtually any shape, with circles, squares and rectangles meeting the needs of most homeowners. But semi- or half-circles are excellent space-saving choices along the straight edge of a patio, deck or retaining wall, and can capitalize on a view. An L-shape is an unusual configuration that might highlight a corner. Material selection is probably one of the more satisfying choices to make given the variety of options on the market. Of course, all fire pits are lined with fire brick or something similarly fireproof. For the exterior, consider polished or natural stone, block, brick, tile, metal, concrete (but never concrete blocks, which can explode) and more. Whatever your use, your contractor should ensure that the manufacturer deems it safe for fire pit use. Considerations include whether you want your pit to blend with the surface on which it sits or contrast a little or a lot. Likewise, do you want it to blend with the style of your home or inject a contrasting note of tradition or modernism? Your answers to these questions will narrow the choices considerably. And, finally, the type of fuel and flame you choose will have a lot to do with the ambiance created and how often you use the fire pit. Choose from wood, propane, gel or natural gas. A wood-burning variety lends rusticity and romance – that aroma, that crackle! – and is great for toasting marshmallows. But if you aren’t a hands-on type of person, it may turn into a chore. Many people like propane, but it has to be refilled and can run out in the midst of entertaining. Gel fuel is odorless and smokeless and creates a lovely flame, but it doesn’t put out as much warmth as other types of fuel and can be difficult to find, except online. If you have access to natural gas, you can have a line run to your fire pit. You will never run out of fuel, and it is inexpensive to burn. But the one-time cost of having the gas line installed will run you a few bucks. Choosing a design is, by far, the most exciting part of the process for most people. Be sure to consider the look of the fire pit and seating together, as they will function as a unit in your outdoor space. Bench seating looks sleek and urbane following the curved or rectilinear lines of your fire pit but, in actuality, if people are forced to perch on seating with no back, they won’t stay long. For large parties in which people move and mingle, bench style seating may be just right. But be sure to offer additional chairs for those times when lingering is the order of the day … or night. If views are not optimal, consider situating your fire pit in front of a living or built privacy wall. Not only will you camouflage unsightly views, but you will create the feeling of an outdoor room. Consider contrasting material for the coping or top surface and maybe design that surface to be extra wide for perching people or plates. Sunken or in-ground fire pits are probably the least frequently chosen, but they can be beautiful and dramatic when placed at an infinity edge. They can also help create a more clean-looking and open space. They can, however, present safety risks, especially for children and, possibly, pets. And they necessitate end tables next to furnishings since they take the place of a coffee table. A clear glass surround protects gel and gas flames and lends a contemporary edge. If you choose propane or natural gas fuel, you have the option of concealing the base of the flames with lava rock (make sure it is dry) or fire glass in clear or a variety of colors for a bit of sparkle. Believe, it or not, stones can heat and explode, so make sure that whatever you choose is rated fire pit safe. I will refrain from saying that I hope these ideas and considerations have you “fired up.” But, if you have a question about building or designing a fire pit, I am just an email away at chris@vbhomesliving.com. 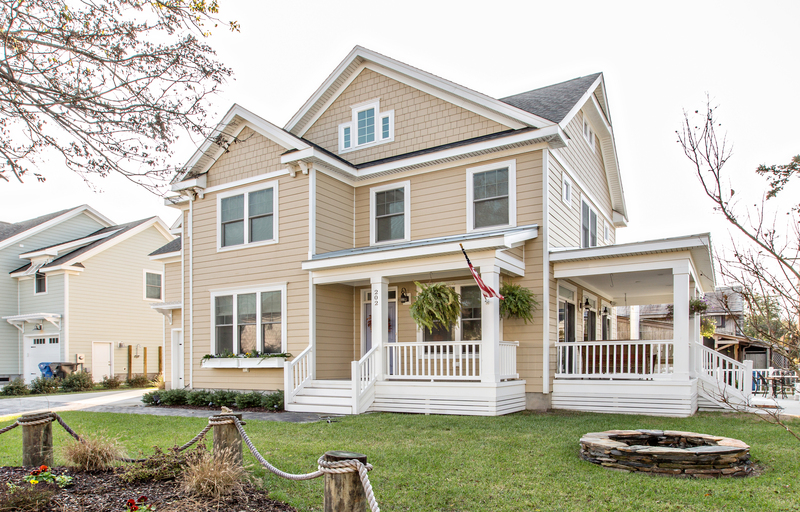 Virginia Beach native and JMU graduate, Chris Ettel, is founding partner of VB Homes. 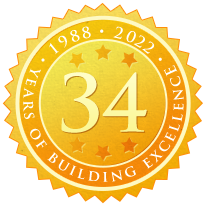 Ettel serves on the Tidewater Builders Association board of directors and is past chairman of the TBA Remodeler’s Council.